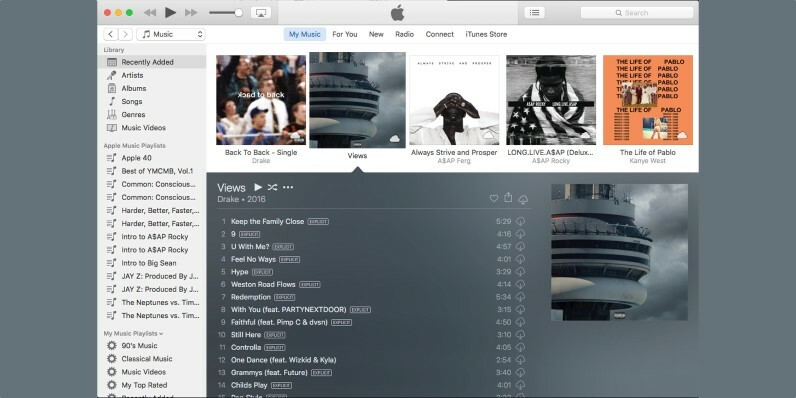 If iTunes has been giving you fits when playing tracks, you’re not alone. In the latest release, version 12.4, tracks shorter than 60 seconds seem to be in a continuous state of buffering. It looks like the way Apple Music handles streaming is when the current song is a minute from the end, iTunes signals the next track in the queue to start downloading so that it’s ready to play when the current song is over. However, when the song is less than a minute long the next song’s download is never initiated, apparently because some “one minute remaining” event is never triggered! This means the app just sits waiting for a download to finish that has in fact never started. It’s not clear if the issue will be patched, but MacRumors also notes that macOS Sierra (currently in beta) solves the issue, and it’s not present on earlier iTunes builds. There’s also no issue with playback on iOS devices, so go ahead and stream from your phone.